Shenzhen is a major city in the Guangdong Province of China and is also a major financial center in southern China. 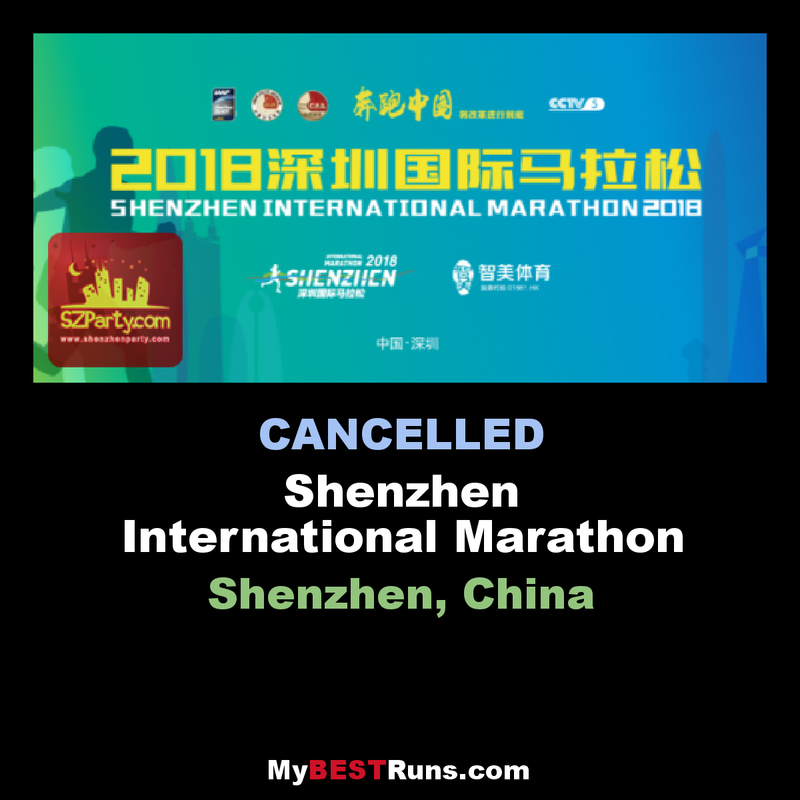 The Shenzhen International Marathon is an annual event that takes place in the beginning of December. It is a cooler time of the year and really suited for marathon running. Athletes can run in milder conditions and miss the heat of summer. 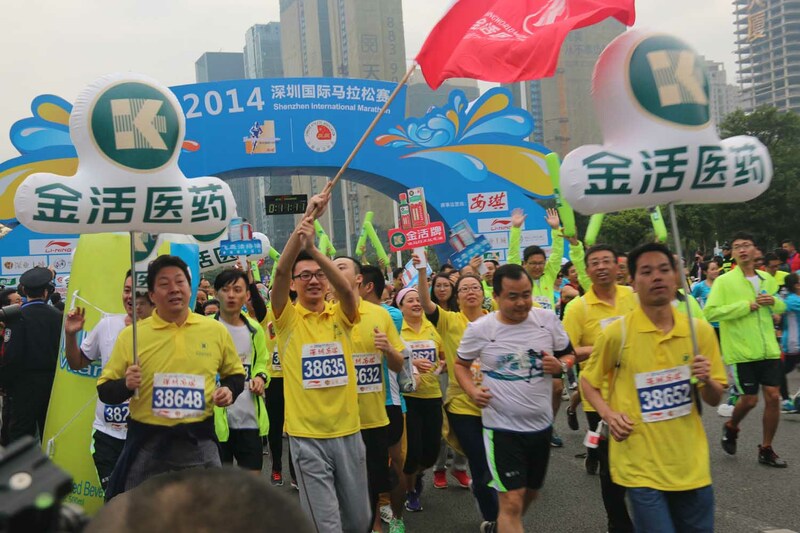 There are three different events including a full marathon, half marathon, and 6-kilometer race. 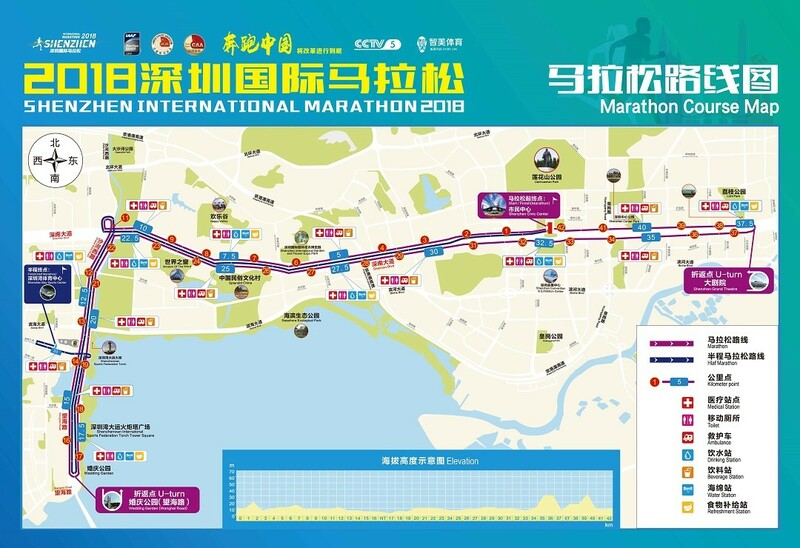 Shenzhen International Marathon has become one of China's top 10 influential marathon events, according to statistics from the Marathon Office of China Athletic Association. The 26-year-old Koech enjoyed a comfortable lead after 25 kilometers and went on to win in 2:09:44. This is his second sub-2:10 run behind his personal best of 2:07:13 achieved in Milan last April. Koech took home a prize of US $20,000. A leading group of more than 10 runners paced the race in the early stages. Only five men were left when the leaders passed the 20-kilometer mark, and that pack was trimmed to just three runners, Koech his compatriot Samuel Ndungu and Bekele Muluneh of Ethiopia, by the time they hit 25 kilometers in 1:17:09. After covering the five-kilometer section between 25 and 30 kilometers in 14:41, Koech broke and built up a lead of more than half a minute and never looked back. Bekele Muluneh improved his PR by 40 seconds to finish second in 2:11:19. Ndungu, a two-time Lake Biwa marathon winner with a PR of 2:07:04, settled for third place in 2:12:15. Pre-race favourite Seboka lived up to expectations in the women’s race. She won in 2:27:12 to improve on her runner-up finish from last year while taking down the course record of 2:33:25 set by last year’s winner Viktoria Poliudina of Kyrgyzstan. Seboka broke away from Kenyan veteran Flomena Chepchirchir near the halfway mark and when she passed the 25-kilometer water stations in 1:26:27, the margin had been widened to some 10 seconds. The 34-year-old Ethiopian kept extending her lead and claimed the convincing win with an advantage of nearly five minutes. 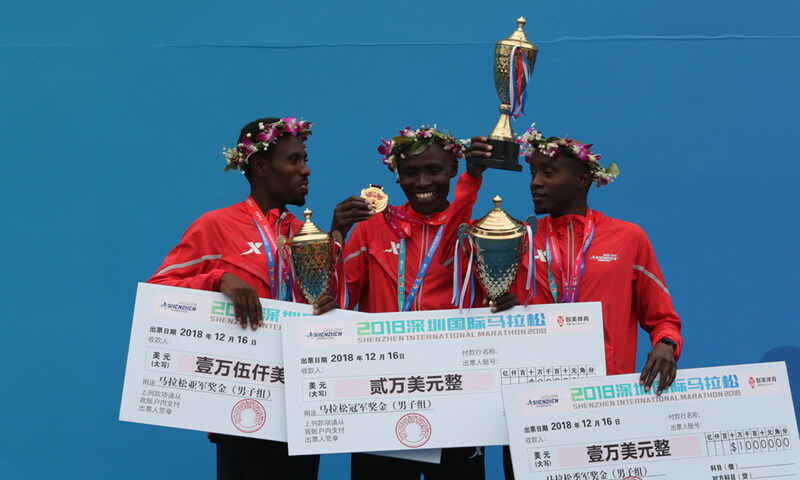 It is Seboka’s second title in China this year as she also won the Dalian International Marathon in 2:28:59 seven month ago. The Ethiopian has finished within 2:30 in each of her three outings in 2018 with a season’s best of 2:25:01 registered in Seoul. The 37-year-old Chepchirchir, who finished 10th in Shenzhen last year, took second place in 2:32:05, which was her best mark since achieving her PR of 2:23:00 back in 2013. Ashu Kasim of Ethiopia was a remote third-place finisher with a clocking of 2:38:35.